Istanbul "Where The Passions of the East Meet the Sins of the West!" Now, in honor of the foreign directors that have set all or part of their films in Turkey, Istanbul’s Türker İnanoğlu Foundation (TÜRVAK) Cinema-Theater Museum is bringing together the posters of foreign films that were made between 1925 and 2013 in Turkey or about Turkey. 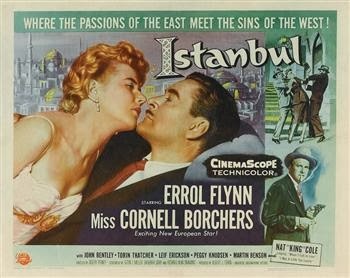 The exhibition, “İçinden Türkiye Geçen Yabancı Filmler” (Foreign Films About Turkey), features the visual memory of 54 films from American, European, Australian, Hong Kong and Scandinavian cinemas and four co-productions of Erler Film-Türker İnanoğlu. Read more on Hürriyet Daily News: Istanbul "Where The Passions of the East Meet the Sins of the West!"